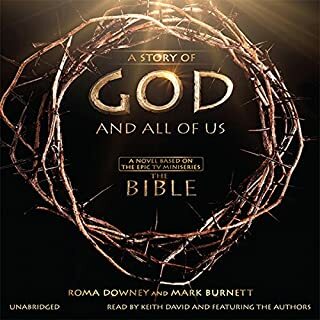 A Story of God and All of Us is a sweeping narrative that dramatizes some of the most important events and characters in the Bible. The book is narrated like a fine novel, dramatizing the sweep of biblical events, making the men and women of scripture come alive in vivid detail and dialogue. All are historically and theologically accurate. A 10-hour miniseries on the History Channel will be based on the story, and the script has been reviewed by a number of Christian church leaders and seminarians for authenticity. Murder, mystery, betrayal & more! After billions of dollars and 50 years of effort, researchers are finally cracking the code on artificial intelligence. 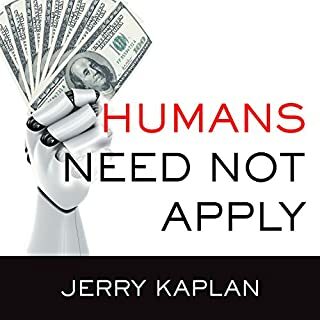 As society stands on the cusp of unprecedented change, Jerry Kaplan unpacks the latest advances in robotics, machine learning, and perception powering systems that rival or exceed human capabilities. Driverless cars, robotic helpers, and intelligent agents that promote our interests have the potential to usher in a new age of affluence and leisure. John Forbes Nash, Jr., a prodigy and legend by the age of 30, dazzled the mathematical world by solving a series of deep problems deemed "impossible" by other mathematicians. But at the height of his fame, Nash suffered a catastrophic mental breakdown and began a harrowing descent into insanity, resigning his post at MIT, slipping into a series of bizarre delusions, and eventually becoming a dreamy, ghostlike figure at Princeton, scrawling numerological messages on blackboards. Its a biography of a mathematician. This is the first volume of distinguished historian Dumas Malone's Pulitzer Prize-winning six-volume work on the life and times of Thomas Jefferson. Based on a myriad of sources, it covers Jefferson's ancestry, youth, education, and legal career; his marriage and the building of Monticello; the drafting of the Declaration of Independence and the Notes on Virginia; his rich, fruitful legislative career; his highly controversial governorship; and his early services to the development of the West. In 1998, three Harvard Business School graduates - two men and one woman - turned down six-figure salaries at big corporations, bet on themselves, and launched their own new companies. By their 10-year reunion, their audacity had paid huge dividends. They'd made many millions of dollars, created hundreds of jobs and left their mark on the world. The Intelligent Entrepreneur tells the compelling and instructive story of how these three young founders did it. An unforgettable firsthand account of a people's response to genocide and what it tells us about humanity. 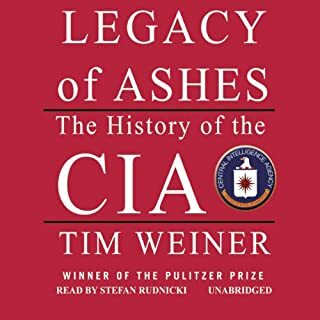 This remarkable audiobook chronicles what has happened in Rwanda and neighboring states since 1994, when the Rwandan government called on everyone in the Hutu majority to murder everyone in the Tutsi minority. As the Beijing correspondent for The New Yorker, Evan Osnos was on the ground in China for years, witness to profound political, economic, and cultural upheaval. In Age of Ambition, he describes the greatest collision taking place in that country: the clash between the rise of the individual and the Communist Party’s struggle to retain control. Come back when you have a warrant! The Jew, according to the Arab stereotype, is a brutal, violent coward; the Arab, to the prejudiced Jew, is a primitive creature of animal vengeance and cruel desires. 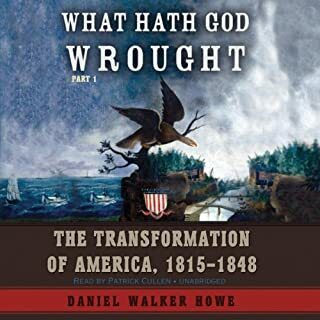 In this monumental work that won the Pulitzer Prize for nonfiction in 1986, now extensively revised and more relevant than ever, David Shipler delves into the origins of the prejudices that have been intensified by war, terrorism, and nationalism. Focusing on the diverse cultures that exist side by side in Israel and Israeli-controlled territories, Shipler examines the process of indoctrination that begins in schools; he discusses the far ranging effects of socioeconomic differences, historical conflicts between Islam and Judaism, attitudes about the Holocaust, and much more. And he writes of the people: the Arab woman in love with a Jew, the retired Israeli military officer, the Palestinian guerrilla, the handsome actor whose father is Arab and whose mother is Jewish. For Shipler, and for all who listen to this book, their stories and hundreds of others reflect not only the reality of wounded spirits but also a glimmer of hope for eventual coexistence in the Promised Land. This was one of the first audiobooks I bought, and i listened to it in 2005 before my second visit to Israel. I'm writing a review now because I was a little shocked that its overall rating was so low: I found it excellent. The book is not a history of the israeli-palestinian conflict. Rather, it is the attempt of a journalist living in israel to explore the mental images that israeli jews and israeli-arabs/palestinian-israelis/palestinians have of each other, in an attempt to understand how this influences their behavior and discourse. This seems to me to be a critical exercise: if you go to the websites of Al Jazeera or the New York Times or Haaretz you find pretty similar reporting of events in the region, and yet people take such enormously different messages from the same events. I found Arab and Jew to be really helpful in giving me a hint of the mindset from which people were coming. Other reviewers have commented that there seems more emphasis on the wrongdoings of the Israelis (i.e. jewish israelis) than the palestinians, and by my recollection this may be true, although the Palestinians come in for plenty of flack as well. The authors stated intention is to make everyone uncomfortable- at least the extremists on both sides. I personally don't believe that an objective view of the middle east exists... how could it? whose would it be? ... and the best we can hope for is honest explorations, which is what i found this to be. At least, I felt that it helped me in my own exploration and interactions with Israelis, by giving me some sort of a sense of where they were coming from. While I appreciate the importance of the topic, 27 hours of almost undigested and poorly organized material tend to bury the subject in a landslide of accounts of misundertandings and misdeeds through the years of this seemingly eternal struggle. The book also seemed to be never ending (the fallacy of imitative form?) Both my husband and I, though very interested in the subject, gave up after Part I. 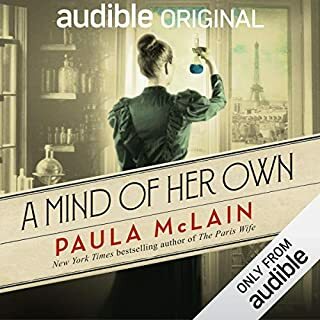 The audio version also suffers from a narrator who seems to be disinterested in the material he is reading, perhaps understandable considering the great length of the work. Im not quite finished the book yet but I'm well into Part 3 so I can give you the gist. 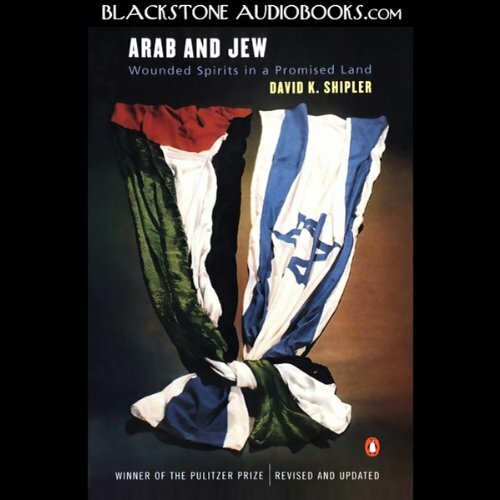 Shipler tells the story by going through different topics and then reciting synopses of hundreds of interviews with both Arabs & Jews on these topics. Good because you get the sense of what the everyday person feels but bad because while the guy on the street has an opinion, it's not necessarily a widespread attitude. As a journalist, he has a natural tendency to speak with the loudest voices. That being said, it's a huge volume of information. As a Jew, there times when I disagreed with his conclusions and times when I felt ashamed of other Jews. I do feel that while he has tried to be even-handed, he has focused on Israel's wrongs more than Arab nations' wrongs. At least so far. I'm sure that Arab readers would feel the opposite and that's the point. Perhaps this is the most centered volume on the topic. I am recommending it to my many Arab & Jewish friends. Peace. The author tries to give an unbiased view of the struggle between Jews and Palestinians. He gives lengthy narration to interviews with the common Israeli and Palestinian. This serves to make the tittle a history of almost every act of terrorism or cited injustice since 1948. It makes the book long and tedious with many dates and an impossible amount of names to remember. If you could sum up Arab and Jew in three words, what would they be? No main character, the examples of the characters both Arab and Israeli brought the book to lifes and made me care about both issues. Have you listened to any of Robert Blumenfeld’s other performances before? How does this one compare? No, I felt like he was having a conversation. Never felt like it was being read, or like a lecture. If you could give Arab and Jew a new subtitle, what would it be? Nobody wins. Both sides loose. Facinating history on current ongoing events. Makes the ongoing conflict much more clear. Worth joining AudibleListener to get this gem. In today's world of conflict, this book helps give insight into the seemingly never ending insanity in the Middle East. 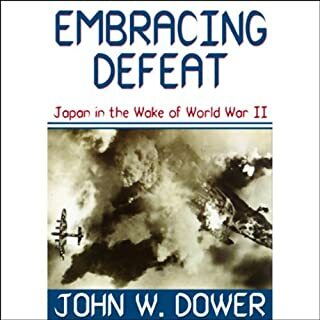 If more people could read or listen to this insightful book, we may start to see how understanding can lead to forgiveness and an eventual cessation of war. Although long, this is a very balanced study of the human prejudice, bigotry, fears and ignorance that continues to perpetuate the struggles in Israel today. Totally heartbreaking. Although the book gives accounts of both Jewish and Arab terrorism in the Middle East one comes away with the feeling that there has been more Jewish terrorism than Palestinian and that for the most that Palestinian terrorism is excusable. One example of the author's subtle bias is found in his description of an incident of Palestinian terrorism where he says something like this: the hijackers let a pregnant woman off the bus: a humanitarian gesture which deprived them of the element of surpise. This is just one example of the way in which the author - though he claims to be impartial- subtly supports the Palestinian perspective on the conflict. I almost never quit half way through a book but after listening to 2/3 of part 2 I realized that it was going to be just more of the same and I quit. He clearly supports communication between Arabs and Jews to break down stereotypes which is good and laudible and he gives a lot of illustrations of how this can be accomplished. But overall the book is long on detailed anecdotes of bad behaviour by the Jews and short on helpful historical analysis. While facinated by this subjected, I was was underwhelmed by this audiobook. The narration is tedious. The narrative is nonexistent. There is no direction to the disjointed melange of blather. Considering that I am biased when it comes to this subject, I expected some sort of emotional stir when listening to this book, whether positive or negative. All I got was drowsy.